New Delhi, Oct 2015: From the north Indian art form of Kathak to the fire dance Bharatnatyam that originated in temples of Tamil Nadu, our landscape is replete with classical dance varieties of unparalleled beauty and dramatic poise! This week, the majestic ruins of Delhi’s Purana Qila will provide a fine ambience to a unique festival celebrating India’s classical dance forms. Presented by the Sahitya Kala Parishad & Department of Art, Culture & Languages, Government of Delhi, the Old Fort Dance Festival will open on October 8, and will showcase over five days some of India’s most treasured classical dance forms. Hon’ble Chief Minister of Delhi, Shri Arvind Kejriwal will inaugurate the festival on the evening of October 8; Hon’ble Deputy Chief Minister of Delhi, Shri Manish Sisodia will be the Chief Guest; and Hon’ble Minister of Water, Tourism, Art, Culture & Languages, Shri Kapil Mishrawill be the Guest of Honor. Bharati Shivaji & Group will open the festival with a performance of Kerala’s beautifully graceful Mohiniyattam, one of the eight classical dance forms of India recognized by the Sangeet Natak Academy. 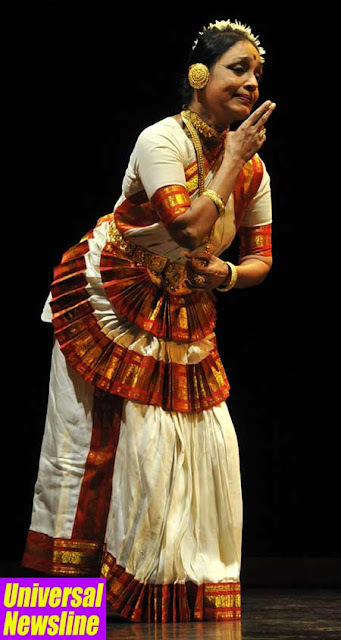 Performer-choreographer, Bharati Shivaji is a Padmashri award winner whose name is today synonymous with the exquisite Mohiniyattam.